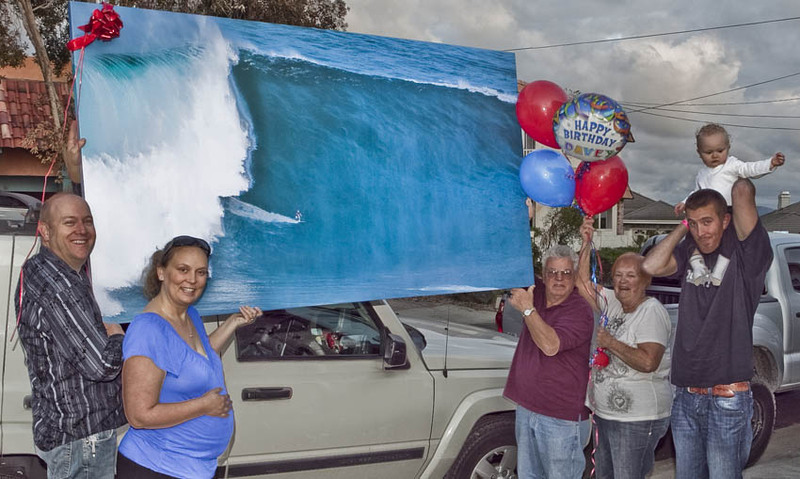 Yes what else would be the ultimate gift but a Big Canvas Print of a Big Jaws Wave . Today Davey Kristjanson (A Helicopter Mechanic with LA Sheriff depatment) is celebrating his 45 birthday by going BIG. Davey report’s that the only problem with this Big RandyHuffordArt canvas of Jaws titled “Goin Left” is that everything in the room gets wet. Haha!